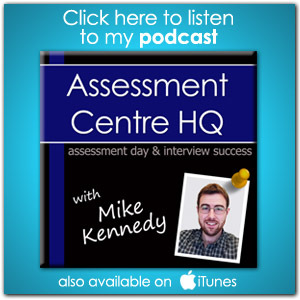 Looking for Assessment Centre Tips? You’ve come to the right place. This is the web’s number 1 resource for assessment centre preparation. 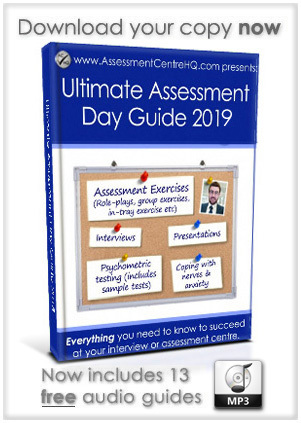 The prospect of visiting an assessment centre can fill even the most confident candidates with dread but this doesn’t have to be the case. Let’s look at some tried and tested assessment centre tips. Let’s get started! This is the most important, most fundamental tip that we can give you. Successful candidates are always better prepared than unsuccessful ones. This may not be a quick-fix assessment centre tip, but preparing beforehand is the foundation of success. This is vital. Research the company or organisation. Understand their ethos – what do they strive to do or achieve? Understand what their ‘ideal employee’ looks like by researching on their website. Speak to people within the company. Devour the job description, you should know this like the back of your own hand. When people ask us for assessment centre tips they’re usually looking for a quick-fix, some snappy soundbite that will transform things for them. But the honest answer is there isn’t one thing that will give you a huge boost. You need to do several fundamentals well and this is the most often-overlooked fundamental. It’s vitally important that you prepare your body and mind if you want to get the best from yourself and avoid fatigue. Sleep. In the run up to your assessment day, try to get into a regular sleeping pattern. Getting sufficient sleep is vital for concentration and feeling alert. Exercise. Try to exercise at least 3 times a week for a month prior to your assessment centre. Exercise releases endorphins that promote wellbeing and reduces stress and anxiety. And you will feel more energised! Just don’t push yourself too hard, if you’re new to it. Start out with something gentle like walking. Eat right. Eat a healthy, balanced diet in the weeks leading up to your assessment centre. This will help you look and feel at your best. Eat a healthy breakfast on the day of your assessment centre. It will keep your sugar levels from crashing and stop you feeling sluggish and lethargic. Try to drink plenty of water. Take a bottle with you on the day. This may seem obvious but take a minute to realise the importance of your first impression. Until people know you they will judge you by how you appear. Show that you mean business by being dressed for business. Be smart and look professional. Be punctual. This is huge. Arrive earlier than the time specified. If you are unsure of your route or need to use public transport, ensure that you leave adequate time for potential delays or getting lost. Make sure that you bring everything with you that you will need. For instance, any paperwork or identification that may have been requested. Read your invitation carefully, so not to miss anything. 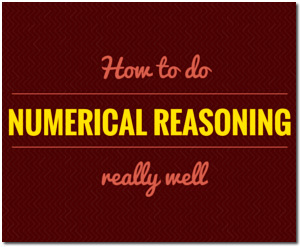 Sounds relatively simple, right? There are several character traits that all prospective employers will embrace – Equally there are some they will not. Be polite and friendly. Remember that not only are they assessing your abilities, they are also looking for somebody that will fit in with their current team. Smile. Simple, yet incredibly affective! Be conscientious. Ask questions and show that you are taking the day seriously. Be personable. This can be difficult for many as you are usually meeting people for the first time and don’t wish to seem unprofessional. 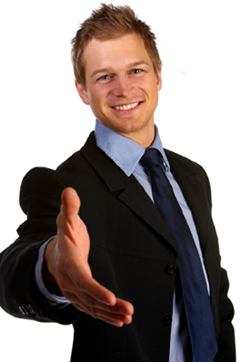 Being personable doesn’t need to compromise your professionalism. Just be aware that the assessors want to get to know you, so make an effort to be yourself and let your personality shine through. Be confident. This will come naturally if you feel well prepared and ready for your assessment day. Nerves can really hinder your performance. Click here for our guide to controlling nerves at your assessment centre. Avoid negativity at all costs. Remember this even during breaks and lunch. You never know who is listening. 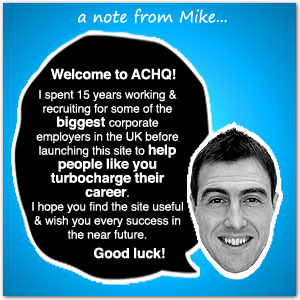 There could even be a company employee impersonating a recruit (seriously!). Think about your conduct, no matter who you are talking to. Nobody likes a complainer, so be positive. Aptitude tests are often the difference between a candidate passing or failing. We can’t reiterate enough just how important it is that you practise them. The first step in doing so, is knowing the types of test supplier your employer uses. Read your invitation, contact your employer’s HR dept if needs be and research the tests for your assessment day. Ok, we’re halfway through our list of assessment centre tips. How are you feeling? Still with us? Good! Let’s keep going! There will almost definitely be some kind of group assessment carried out on the day. You are trying to join their team, so it is crucial that you excel in any group assessment. Be friendly. Smile at the other candidates, try to remember their names. Compliment them on their input. Thank them for their ideas. Be confident. Show the assessors that you have understood what the group has been asked to do. If you have an idea, put it forward. Do not be afraid to speak up. You don’t want to disappear into the background as others flourish. Be collaborative. Encourage quieter members of the group to contribute. This shows a really great quality in that you are aware of all members of your team and want them all to succeed. Be courteous. Don’t undermine or critisise other members of the group. Be courteous and allow everyone to take part. Remember that you want to come across as a strong participant in your own right but equally, you need to show that you have the respect and patience required, when working in a group. Be totally clear on the key skills and competencies required for the role. They are your holy grail. They should guide your every sentence. Revisit your original application form, to remind yourself of what you have already told them about yourself. This area really is a huge beast and we’ve dedicated a whole section of this site to Interview Success. Click the link to find out more interview secrets and assessment centre tips. Know your CV/Resume, inside out. You will very likely be asked why you left your previous positions, so be prepared with your answers. Throughout the day you will be faced with instructions, questions, rules and demonstrations. Do not rush. Do not scan read. Take the given time to make sure that you have a full understanding of what is expected of you. Ask questions if you’re not 100% clear on what you’re required to do. If you are sitting an exam, read each question thoroughly and be confident BEFORE ansering the questions that you are addressing the central concern of the question. Pressure leads to silly mistakes. We’ve seen it happen, so don’t rush!You wanted assessment centre tips, right? This one is massive! You’ve worked too hard to fail because of something as simple as a misread question. Your assessment centre will be made up of many different elements. Some will go well for you and some will not. The key is to not worry about exercises that don’t go as well as you would like. Don’t worry about it! Assessment centres are designed to highlight your weaknesses as well as your strengths, so try not to dwell on things. Don’t allow one ‘bad’ section of the day to influence your performance overall. Of all of the assessment centre tips here, this is one that we want you to bear in mind on the day itself. There are very few people that excel in every area of an assessment centre, so don’t give up. Dismiss the previous exercises and focus solely on what’s ahead. Give yourself the very best chance to succeed. We strongly recommend that you practise the psychometric tests and aptitude tests that you will be faced with. Remember to practise answering interview questions – do this out loud. Yes, out loud! Ask a friend to help, by getting them to ask the questions. Practise will give you confidence and keep nerves at bay AND boost your chances of success. We hope you’ve enjoyed these assessment centre tips and found them useful?